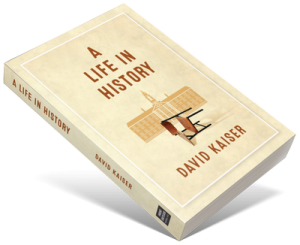 “David Kaiser’s intriguing autobiography, A Life in History, captures a rare quality these days—the ability to stand for what you believe and base those beliefs on facts, not trendy opinions. If you want to learn how to live your own life, read this book and be inspired to be an upstanding rock in the stream of history. Morley Winograd, Senior Fellow, Annenberg USC Center for Communications & Leadership Policy. Christopher Lydon, host of Open Source, the radio show and original podcast.